Special London Ale is an absolute classic, a winner of many awards. Why? Despite its strength it's sublimely drinkable. The malty richness is countered by huge amounts of hops to create a perfectly balanced, wonderfully aromatic, dry, fruity flavour. This live beer is matured in the bottle for a fuller, fresher flavour. Serve cool, pouring gently to leave the sediment in the bottle. 100% malt brew: Maris Otter and crystal malt and a phenomenal amount of Fuggle and Goldings hop. Golding and Target hops are added after fermentation which creates an exciting fresh and hoppy bouquet. Fresh yeast and wort are added at bottling to continue the maturation as a live ale. The Rev. James beer is one steeped in history. Acquired after the purchase of Crown Buckley, Rev. James is brewed to an original recipe dating back to 1885. The beer is named after one of the original owners of Buckley Brewery, the Rev, James Buckley, a business man with two conflicting roles – saving souls and satisfying thirsts. The Rev. 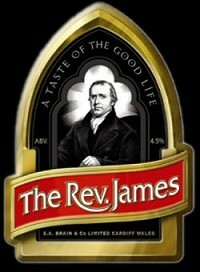 James is brewed to a traditional recipe and has been described as having a flavour not commonly available these days. Full-bodied and warming, The Rev. James is rich in palate, spicy and aromatic with a deeply satisfying finish. 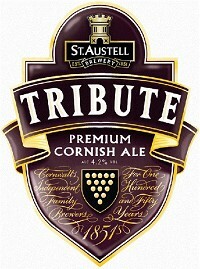 A Supreme Champion Ale of Cornwall as voted by CAMRA*, and the South West's Favourite cask beer**, Tribute is a popular favourite with locals and visitors to Cornwall, as well as being a much sought after brand throughout the rest of the UK. 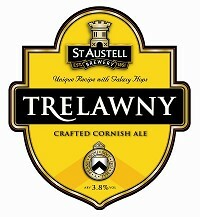 It is brewed using specially grown Cornish Gold Malt. For foodies, Tribute is a perfect accompaniment to chicken, gammon or fish. The ideal alternative to a fine white wine. Roger Protz, Editor Good Beer Guide, wrote: "Tribute is a magnificent example of a bronze coloured English bitter, with a rich aroma of biscuity malt and tart citrus fruit from the Willamette hops. Juicy malt, hop resins and tangy fruit coat the tongue, while the finish is long and lingering, with a fine balance between malt, hops and fruit, finally becoming dry and bitter." Unusual name, unusual beer! The "Waggle Dance” is the movement a bee performs to alert the hive to a source of nectar. 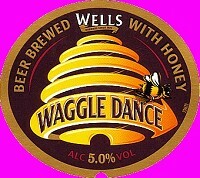 Wells Waggle Dance Beer is a beautifully balanced, sneakily seductive, golden coloured beer. Pale ale, Crystal malts, British Fuggle and Golding hops, together with Fair Trade South American honey, combine perfectly to create this delicious golden beer with a superb honey aroma. 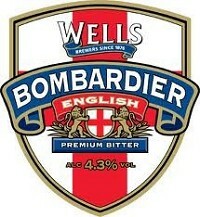 It is popular both as cask ale and in 500ml bottle across a wide range of beer lovers from all demographics. 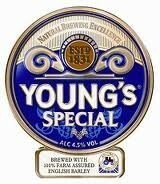 Young’s London Gold is key member of the Young’s range. As the name suggests it’s a golden beer with a refreshing taste. 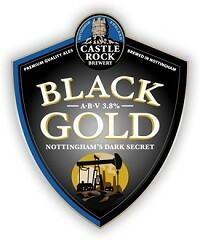 London Gold is available as a cask beer and also as a bottle conditioned beer. The bottled conditioned variant is an unpasteurised, living beer, matured in the bottle for a fuller, more complex, multi-dimensional, fresher taste. With no artificial carbonation, the only fizz is the natural effervescence created by fermentation. 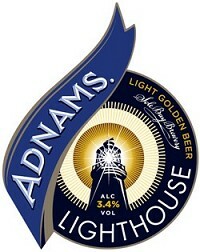 The recipe for Adnams Lighthouse is based on an award-winning beer that we used to call ‘Champion Pale Ale’. 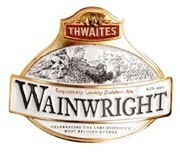 Lighthouse is a 3.4% abv beer, amber-coloured with a light fragrance, lovely malt flavours and long hoppy after-palate. This beer is a traditional pale ale brewed with traditional ingredients. Pale Ale malted barley and Crystal malted barley are used to add a touch of caramel and toffee. The hop blend gives the beer a spicy, herbal tone that fills the palate. We brew Barnstormer using a mix of Maris Otter, Chocolate and Crystal malts together with Bramling Cross hops. These fine ingredients, combined with our brewers’ skill and diligence, have made this a truly rewarding and enjoyable beer. Made with wheat and barley malt. 4.5% abv. more traditional of beer styles. 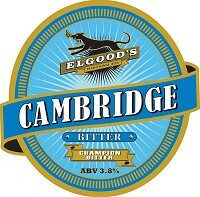 Elgoods brewery describes the beer as "Cambridge Bitter is our main brand beer at an abv of 3.8%. A bid brown bitter with a good balance of malt and hop character give a pleasing session drink. The finest Pale Ale malt (made from Maris Otter barley) is blended with torrified wheat, invert sugar and a small amount of roast barley, to ensure consistent colour. Hops used are English Fuggles and Challenger, a blend that gives full hop character to the beer." York Brewery started production in May 1996 at Toft Green, becoming the first brewery within the city walls since JJ Hunts nearly 40 years previous. The brewing plant came from Original Lions Brewery in Blackburn and was moved to fabricators to bring it up to our high quality standards. 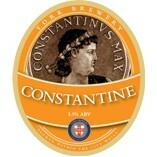 Back by popular demand for 2011, Constantine is a copper coloured beer with rich malty flavour and a pleasant hop aroma. Light and crisp finish. One of our favourite seasonal beers, Equinox is smooth and easy to drink. Its Autumnal name is matched by the mature fruit flavours associated with the season. 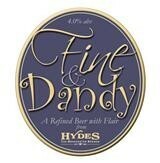 Hydes Brewery has launched the third of its 2012 Craft Ale portfolio – Fine & Dandy. Fine & Dandy is a fine, refreshing smooth Spring beer offering a pronounced hoppy flavour with just a hint of citrus fruit. The beer has been fastidiously brewed to the same exacting standards as all other real ales in the Manchester Brewery using the choicest grades of hop and premium malts. The last of the true Pennine light milds, this amber coloured beer makes a refreshing session ale. 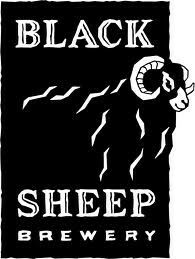 The smooth and creamy flavour made it the popular choice close to the Brewery. Today its popularity is becoming more widespread. Golden Sheep is a beautifully balanced blonde beer that develops with zesty flavours and finishes with a clean and wickedly moreish finish. 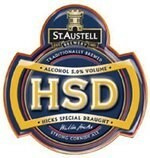 St Austell’s most legendary ale, HSD is fullbodied strong and Cornish, brimming with a kaleidoscope of flavours. Brewed with plenty of malt and lashings of English Fuggles and Golding hops, HSD is truly a classic ale of considerable depth and complexity. When looking for a beer to accompany a meal, HSD is the real ale alternative to a well rounded premium red wine and simply superb with steaks and other red meat dishes. A full drinking 4.1 % bitter of mid range colour, with a tight creamy head, and a pronounced nutty flavour from the Naked Golden Oats. The distinctive bitterness derived from English Challenger hops is balanced perfectly by the fullness and sweet maltiness on the palate, accompanied by nut and malt notes with a full, late hop aroma . 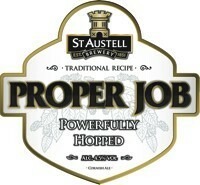 Proper Job is an authentic IPA brewed with Cornish spring water and a blend of malts including our own Cornish Gold. First brewed in 2006 as a seasonal beer, Proper Job proved so popular with thirsty customers that it is now a permanent part of the St Austell Brewery portfolio and our second best selling cask ale. A powerfully hopped golden bitter that explodes with citrus grapefruit flavours, Proper Job was awarded a silver medal in the ‘Golden Ales' category of the 2009 Champion Beer of Britain competition at the Great British Beer Festival, held at Earls Court in London. The latest shining edition to our cask ale range, SA Gold was launched in 2006. Its refreshing and clean taste instantly proved popular with both consumers and industry experts winning awards only a year after being launched. 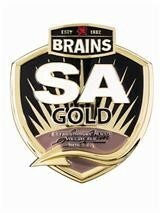 SA Gold is a full-flavoured, hoppy and refreshing golden ale. Careful use of hops creates a satisfying bitterness, perfectly balanced by vibrant citrus aromas and complex hop flavours from late-hopping using Cascade and Styrian Goldings. 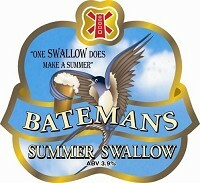 A deliciously satisfying and refreshing pint! Originally one of the 12 ‘Natural Selection’ brews back in October 2008 to support the Nottinghamshire Wildlife Trust’s Adopt a Species Campaign, it immediately won the Society of Independent Brewers (Midlands) Supreme Champion Beer award at the Robin Hood Beer Festival and followed this success by winning the SIBA National Strong Bitter Title. Brewed to export strength this strong well hopped India Pale Ale has become a firm favourite with followers of the style. Golden, crisp and clean thirst quenching summer beer, with a lush lemon grass flavour from the Styrian hops and Lincolnshire malts which create the aroma of freshly harvested grain. A golden brew with an intriguing aroma from the delicate Saaz and spicy Styrian Goldings hops. The full flavour is well balanced with hop bitterness giving a clean finish for easy drinking. Full bodied and distinctive, 6X remains one of the South's most famous beers. The beer is mid-brown in colour, malty and fruity with balancing hop character.